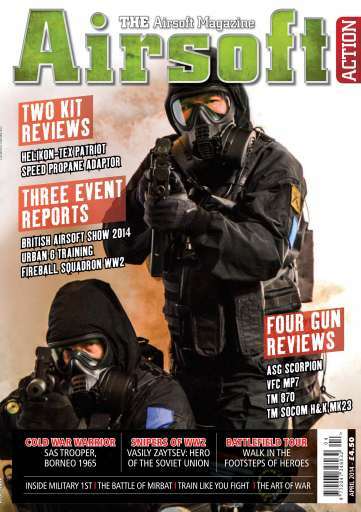 Welcome to the April 2014 issue of Airsoft Action - the UK's BIGGEST Airsoft magazine! 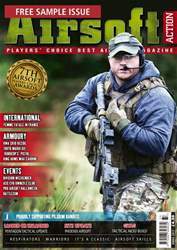 In this packed 92-page edition we have got FOUR gun reviews, THREE Event reports, TWO Kit reviews plus all the regular features and articles you'd expect from this top quality publication. 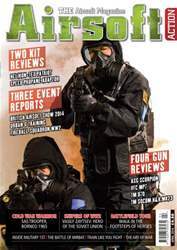 Cold War Warrior looks at an SAS Loadout from Britain's "Secret War" and the subject of this month's debate is "Night Games", do you love them or loathe them? Sniper One, Dan MIlls, writes about "Hero of the Soviet Union", Vasily Zaytsev and also continues his journey through The Great War by introducing us to The Pals Battalions. In this very special year, we have teamed up with Matt Limb Battlefield Tours to give you the opportunity to "Walk in the Footsteps of Heroes" on the Beaches of Normandy. There's loads more besides, so make sure you grab a copy!